If you are looking to relocate in a diverse neighborhood in the San Antonio metro area, consider the real estate options of Balcones Heights, Texas. This small suburb is an incorporated city that once sat on the outskirts of San Antonio and was quite rural. 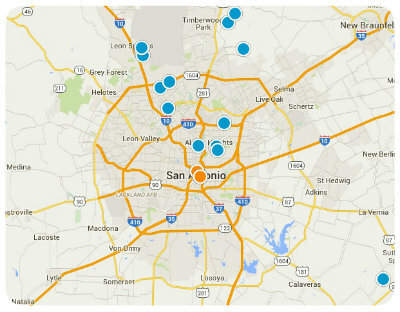 However, as San Antonio has grown Balcones Heights has become densely urban. Balcones Heights is comprised of less than 1 square mile south of the Interstate 10 and Loop 410 interchange. Incorporated as a city in 1948, Balcones Heights is home to around 3,200 residents in central San Antonio. Eighty percent of the buildings in Balcones Heights are commercial, there are approximately 250 single family homes, and most of the other residences are apartment complexes. Balcones is a great place to live if you want the laid-back suburban lifestyle with easy access to the all the conveniences of the big city. Balcones Heights is only 10 minutes from the airport and from Downtown San Antonio, making it easy for residents to enjoy all the great shopping, dining, entertainment, and recreation of the area. Homes for sale in Balcones Heights typically range from around $87,000 to $169,000. West of Fredericksburg you can find one and two-story homes, some of which are situated on large double lots. There are also single family homes east of Interstate 10 on Balcones Heights’ northeastern edge. Most homes in the community are 1,400 square feet or larger so it is a great place for families seeking affordable housing options. 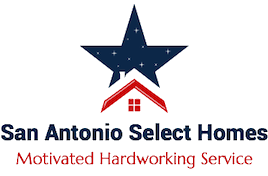 If you would like to buy a home in Balcones Heights, Texas please do not hesitate to contact us today for more information.